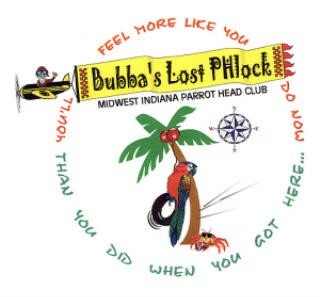 In October 1999, Max and Cindy Habbinga had the idea to organize a local parrothead club for the greater Lafayette area. Flyers were distributed and thru word of mouth, a core group, known as our Founders, was put together, and Bubba’s Lost PHlock was established. BLPH is an official chapter of Parrotheads in Paradise (PHiP). The group was created to promote friendships and organize social activities for people with similar interests, including enjoyment of the tropical spirit of Jimmy Buffett’s music. We are a not for profit organization and we encourage our club members to provide a variety of volunteer efforts in the local, regional, and national community for social and environmental causes. In the process of making new friends and having fun, we believe in leaving something positive behind. Our club is open to anyone with the tropical spirit and desire to contribute to the betterment of the community.